Yesterday I did something that I haven't done for quite some time (so long that I'm afraid to check exactly): I sent off a manuscript. When I first started out in this business, sending off a manuscript meant printing out a thick wad of paper and popping an Express Post envelope into the mailbox. Now it means clicking 'attach' to an email, and hitting 'Send'. But in both cases, it means sending up a little prayer that my story might be looked upon favourably by those who read it. Events in the real world also got in the way. I was sick, my dad had a stroke. I couldn't (can't) spend as much time writing as I used to. And some days all I wanted to do was to lie on my bed and read; writing was work and I didn't have the energy to wrestle with it. But the good news is, I have three ideas to work on next! So back to the keyboard I go…because even after you've 'finished' one book, this job of writing is never done. You know how sometimes you finish reading one book, and the book you're intending to read next is all the way over the other side of the room, so instead you pick up the book that happens to be lying around within reach, and you read that first? 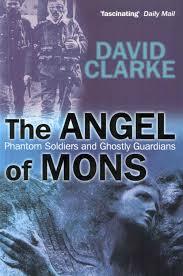 That's what happened here… I bought David Clarke's The Angel of Mons: Phantom Soldiers and Ghostly Guardians for Michael at the library book sale, because it was about the First World War, which is His Thing, and also, after The Woman In Black, I was in the mood for more ghost stories. I like to think (after many years of marriage) that I'm reasonably well-informed about WWI, but I must confess that I had only vaguely heard of the story of the Angel of Mons. Apparently after one of the earliest battles of the war, when the hugely outnumbered British forces managed to escape being completely wiped out by the mighty German Army, stories began to circulate that the British soldiers had been miraculously saved at Mons by the intervention of supernatural forces -- a cloud, a bright light, ghostly soldiers from Agincourt, St George, Joan of Arc, or (as the story finally settled) a troop of angels. But the book turned out to be less about ghostly visitations and visions, and more about the power of rumour, propaganda and legend in times of severe social upheaval and fear. There was no direct evidence that the supernatural intervention took place; no reliable eyewitnesses were ever tracked down, and the story always had that familiar 'urban myth' air about it -- a friend of a nurse, who spoke to a soldier, whose brother had definitely seen something that day… It seems that the story was officially encouraged, not in the immediate aftermath of the battle itself, but in the dire months that followed, when the war looked bad for the Allies. It was comforting and socially useful for people to believe that God was literally on their side -- to the point of personally intervening to protect the British troops. This was a very well-researched book (which was probably more heavy on the detail than I really needed it to be! ), but an interesting read nonetheless. Something to think about, and watch out for, in our own scary times: what are the useful legends and apocryphal stories that our government might like us to believe? The 10pm Question by Kate de Goldi is another book that's been on my radar for a while, and also been sitting in the pile beside the bed for an unconscionably long time. I'm making an effort to work my way through some of the books that have been there for a while, and so far the success rate has been striking! What a lovely, lovely book. Frankie is 12, and his life is busy, filled with annoying siblings, larger than life relatives, cricket, birds, rituals, errands, private projects, lists and homework. He has a best friend, Gigs, who shares most of his interests, and a new friend, Sydney -- not his girlfriend! -- who is interesting and chaotic and asks all the questions that other people don't dare to ask… like, why hasn't Frankie's Ma left the house in nine years? Because Frankie's life is also filled with a secret undercurrent of constant worry -- about his health, about his mother, and about himself. This is a book about anxiety, and it beautifully and sympathetically takes us into the mind of a chronically anxious pre-teen. I could relate to quite a lot of it -- the obsessive list-making in bed, for one thing, and also Frankie's mother's need to stay safely inside her own house FOREVER. I suppose with such potentially dark subject matter, de Goldi had to balance the mood with lots of cheerful material about Frankie's quirky family, and while they are very real and totally loveable (even grumpy, sarcastic teenage sister Gordana, who I think might be living in my house), the novel sometimes veered close to too much quirk-territory. I also found the structure slightly confusing -- each chapter jumps forward two weeks, and we then get a recap of events that have occurred in the past fortnight, so there is a lot of 'Frankie had thought… Sydney had said…' which made for a slightly clunky read in places. But these are mere quibbles. For being a book set in New Zealand (second one in two weeks -- weird), for its warmth and humour and gentleness, I loved this book. It hits my sweet spot -- between childrens' and YA. On the very first page, there is a grumpy older sister who steals the last muesli bar, an irrational fear of ants, and a teacher called Mr A. I think my (anxious) Ms 11 will find a lot to relate to. My ex-library copy of The 10pm Question had a photo inside it. Who are these lovely young people? Which of them used this photo as a bookmark and forgot to retrieve it? Anyway, I blow you all a kiss. You have good taste in books. The Darebin library book sale was on this weekend. I must admit I had an ulterior motive this time as I had a box of books I wanted to off-load -- I've been buying so many from Brotherhood Books, and we need to cull a bit anyway in view of our impending reno. So I had a stack of donations with me. But the best intentions go awry… Ms 14 and I went together, and we came away with rather a big bag of loot. Ms 14 was responsible for most of it -- she bought some CD sets to teach herself Italian and French (ambitious -- she's planning a Family French Friday when we will all learn French together, yeah well, we'll see about that…), and a First Aid book, because she can't get enough of those. I bought a book about ghost soldiers in WWI for Michael, and a couple of silly Trinny and Susannah books because I can't resist them, and they're only a dollar! (I wish they would come to my house and tell me what to wear.) And I bought a Kate Atkinson family saga/mystery primarily for my mum. But I was most proud of myself because of the books I picked up, and then put down again. In the past I've been guilty of picking up books that I feel I ought to read (because they only cost a dollar!) and then feeling bad as they moulder unread beside my bed because I don't really want to read them. For the Term of His Natural Life? Political biographies? That huge literary best seller from a few years ago that makes me feel exhausted just looking at it? No. This time I left them all alone. I don't like scary movies, but I do enjoy a good ghost story, and this modern classic by Susan Hill has been on my radar for a long time. I picked up the movie tie-in edition from Brotherhood Books, and was surprised at how slender it was -- I'd been expecting a fat clunker! 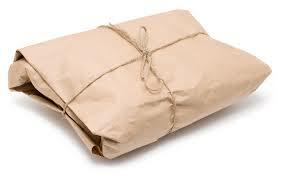 But this relatively short tale certainly punches above its weight, and is all the more effective for its economy. In this case, less is more. Chills aplenty, simple but effective, and though it was published in 1983, stylistically it reads like a high Victorian ghost story (though it's certainly not a difficult read). This actually confused me in places, as I started out picturing the story taking place in Sherlock Holmes' London (peasouper fogs, fusty lawyers' offices, train journeys), and then suddenly there were motor cars and telephones and electric lights! I'm still not entirely sure exactly when the novel was supposed to be set. There were references to the ghostly figure's clothing dating from 'sixty years ago', but then the date on her gravestone was '190--', and I can't make out how that would possibly work! I think I've read four Brinsmead novels now, and although they all had wildly different settings (this one takes place in the NSW country town of Moree, at the earth station there), and explore very different topics (gemstone prospecting, urban gangs, this time space communication! 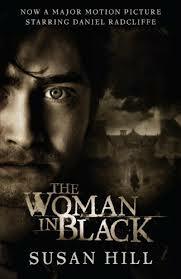 ), there are common themes that recur in all the books. The importance of making connections between people is probably the most significant; an appreciation of the beauty of the natural world is another. Brinsmead certainly wasn't afraid to tackle a wide range of geographic locations or social milieux. 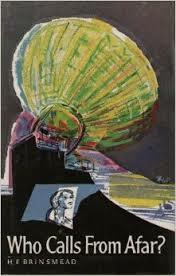 Published in 1971, Who Calls From Afar? tells of young Lyn, who finds a job as secretary at the Moree earth station, one step in the string of bases passing on satellite signals from geo-stationary orbit to headquarters in America. Lyn has felt lonely in the big city; communication, the failure to communicate, the need to communicate, is the keynote of this book. On the eve of the moon landing, a NASA bigwig becomes stranded in the outback and a road trip ensues with a cast of various characters. I wonder what Brinsmead would have made of this moment in time, with everybody both hyper-connected and yet more atomised and individual than ever before? For me, this is not the most successful of Hesba Brinsmead's novels -- my favourite is still the luminous Pastures of the Blue Crane, her debut. Despite the theoretically interesting subject matter, WCFA? seemed to be missing some essential emotional element that made for an ultimately unsatisfying read. Robert Macfarlane's The Wild Places is one of the most beautiful books I have ever read. It is so beautiful I had to ration it, reading only a chapter or two between other books, eking it out and savouring it. It's not a book to gorge on; it's a book to read slowly and carefully, like a meditation. I found this on Brotherhood Books after seeing it recommended in The Week (now my mum lives with us, I get to read my parents' subscription copy of The Week as soon as it arrives). I also want to get hold of his later books, Landmarks and The Old Ways. 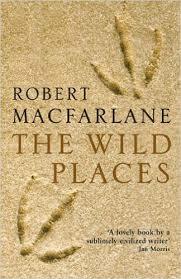 Macfarlane starts out this journey wanting to experience and describe the wild places of Britain; as he thinks of it, the pockets of wilderness left untouched by human interference, the mountaintops and isolated moors, the remote, the pristine. And he does find those places, and he is exhilarated and frightened by them. But about halfway through his pilgrimage, he finds his internal definition of 'wildness' changing into something more dynamic and vigorous -- the tangle of plants thrusting from a ditch into the light, the inside of a hedgerow. He comes to see wildness not as something separate from humanity, but intertwined, parallel and within our reach, in small, everyday moments -- a dandelion bursting from a crack in the pavement, the tossing of treetops in a storm. Reading this book was an almost spiritual experience for me. Macfarlane's observations are both precise and radiant, his use of language halfway between poetry and prayer. Is it better to read about sleeping out on a snowbound mountaintop, or to actually experience it? For me, the reading is better, because I get to appreciate the beautiful words as well as imagining the crispness of the moonlight, the sheen of the snow… Hm, this might be betraying an old bias of mine that favours imagination over the real. That's something I'd like to write about one day. Anyway, this book is highly recommended. If anyone knows of an Australian equivalent, please let me know. I would love Robert Macfarlane to turn his keen eye on our wilderness. Has anyone invited him? 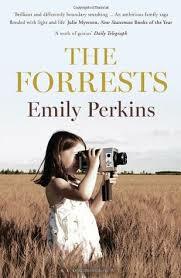 I'm ashamed to say how long ago it's been since my friend Penni lent me Emily Perkins' The Forrests. 'It's good,' she assured me, and it was. A novel in short scenes, each chapter tells an incident from a life, the life of Dorothy Forrest, from her chaotic, slip-shod childhood, through marriage and children and love and lust and tragedy, all the way to her deathbed. The stories of her siblings, parents, children, friends, weave in and out of the central story. We jump several years at a time; suddenly there are extra children, retrospectively we learn of catastrophe narrowly escaped, or brutally, unexpectedly falling, a blade from the sky. The writing is extraordinary, dense with observation and sensory detail that reads almost like poetry. It's a reminder that even the most ordinary of days contains droplets of wonder, humour, memory and pathos. The thread that pulls the story together is Dorothy's lifelong connection to Daniel, the sort-of brother who became her secret lover and then ran away. Even when he spends decades absent from her life, his memory haunts her. Perkins is very good on siblings, and children, and marriage -- I don't know how old she is, she doesn't seem to be that old, but her observations of how it feels to be inside every stage of life feel true, as if she's lived a long life and remembered everything. The book is set in New Zealand, but the details feel true of an Australian life, too -- suburban shops, a night in a hospital, a boozy reunion, a commune in the bush. So, Penni, you can have it back now. Sorry it took me so long. Thoughts prompted by Laurinda, perhaps I should say, rather than reflections on the book itself. I felt quite ambivalent reading this novel, and I'm not sure if that ambivalence came from Alice Pung herself or if it's my own attitude to my education which I'm projecting onto Lucy's story. As I said before, I also went to a posh private girls' school (Presbyterian Ladies' College), and I was a scholarship girl. There is no way that my family could have afforded to send me there and pay the fees, though quite a few of my contemporaries were not particularly wealthy. Their attendance at the school was pretty much the only luxury their families allowed themselves (I should add that the fees weren't at the astronomical levels they seem to sit at today, either). Coming straight from living a pretty simple life in PNG, and years of vague money worries, I used to fret that we couldn't afford for me to go on excursions, buy a new blazer, pay for textbooks etc. I never actually had to go without, but I never assumed that I wouldn't. This bred a faint anxiety that dogged me through all my years at school. Because the school had moved to a new campus in Burwood in the 1950s which was quite ugly and daggy, there was none of that atmosphere of romantic, ancient privilege in the buildings themselves that I found later at Janet Clarke Hall and Melbourne University generally, so our elite, privileged status was not so obvious in our physical environment. But it was constantly drummed into us that we were a) very lucky and b) obliged to pay for that luck by 'giving back' -- through leadership, social work, good causes etc. The emphasis was less on encouraging ambition for ourselves, and more on what we could do For Others. It was just assumed that we would achieve for ourselves, I think. I adored school and I was (mostly) very happy there. I had some wonderful, inspiring teachers, read some amazing books from the fantastic library, and made some good friends. My interests in literature, history, politics, philosophy and social justice were encouraged, and I came out at the end with an excellent HSC score that got me into the university course I wanted. I took it for granted that women could do anything; it wasn't even a question. Our headmistress was an amazing, strong, gracious woman who was a wonderful role model (Joan Montgomery), and oat of our teachers were women. I was very disappointed when, after I left, the church appointed a male principal. I did well academically in the supportive environment of school, but I struggled in the self-directed free-for-all of university. I didn't really get how university worked, and I was dazzled and paralysed by the presence of boys. Socially, I was completely out of my depth. I don't blame my school for that, but it didn't help. It took me so long to adjust to life outside school that I wasted a lot of my years at uni. (It also didn't help that I was doing the wrong course.) I see the easy, teasing friendships with boys and girls that my daughter is establishing at her state high school, and the way they encourage the students to navigate life outside the school, and I'm envious. I'm grateful for the opportunities that PLC gave me, but I'm deeply uncomfortable with the begging letters they send me, as an Old Girl, to contribute to the new swimming pool or the performing arts centre or whatever. It's embarrassing, and I feel like it's a betrayal of the ethos they tried to teach me back in the 80s. I was sheltered there, but maybe it would have been better for my development to be a little less sheltered, toughened up a bit. This has been a long, rambling post. I hoped it might help me disentangle the good from the bad, but it's all still mixed up in my mind. I go to lots of private girls' schools for work, and I instantly feel at home there, comfortable and at ease. The teachers are usually fantastic, and the girls are always lovely, polite and friendly and often very clever -- just like I was. But I'm not going to send my daughters to any of those schools. Not even if they win scholarships. And I still can't quite articulate why. Gatty's Tale by Kevin Crossley-Holland has been sitting next to my bed for so long I've forgotten how and where I acquired it. It's second hand, but not from Brown and Bunting; nor is it an ex-library book, and I'm sure I didn't buy it from Brotherhood Books either. Mystery! Perhaps it was one of those books that turns up in the library book sale, donated by other people? 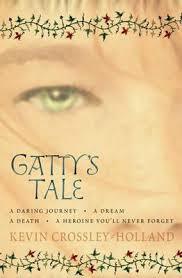 I read and loved Crossley-Holland's Arthur trilogy a few years ago, and Gatty's Tale is a stand-alone follow-up to Arthur's story. In this novel, set in the Middle Ages, fifteen year old Gatty is sent to serve as a chamber maid to Lady Gwyneth, who decides to undertake a pilgrimage to Jerusalem. With eight companions, including Gatty, they set out on the perilous journey to the Holy Land -- but not all the pilgrims will reach the end of their quest. Kevin Crossley-Holland's writing is among the best I've ever encountered -- shining, spare, and lit with a bright flame of faith, it's utterly suited to the recreation of the medieval world. But there are striking modern parallels here, too -- principally, the distrust and fear of the 'Saracens' (Muslims) who possess the Holy Land. Gatty comes to realise that Christians, Jews and Saracens are all 'good and bad, mixed up together' and that demonising one race or religion is pointless. I loved this book, and I really hope that it found the audience that it deserves.